Vantage GreenX's projects form part of round four of the Renewable Energy Independent Power Producer procurement programme. The South African renewable energy industry is witnessing a flurry of activity, with over R20 billion being pumped into the sector this month alone. This after government finally cleared the hurdles to the signing of outstanding renewable energy projects with independent power producers. Before this, the industry faced a bleak future, with power utility Eskom dragging its feet for more than two years over signing of the R58 billion deals. 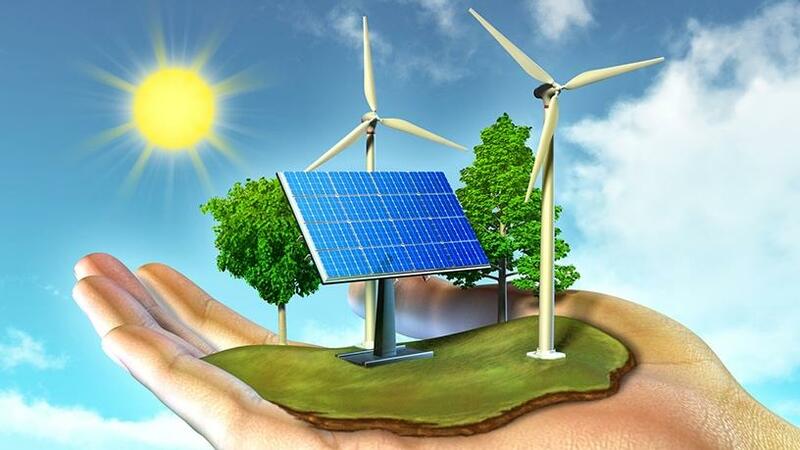 Yesterday, local renewable energy investor, Vantage GreenX Fund Managers, through its second renewable energy fund, Vantage GreenX Note II, announced it provided R2.05 billion of funding to a combination of six solar and wind energy projects with a combined capacity of 433MW. Earlier this month, Italian multinational energy company, Enel Green Power SA, signed financing agreements for five new wind projects worth EUR1.2 billion (R18 billion). In July, UK-based power developer Globeleq also reached a definitive agreement with an affiliate of New York Stock Exchange-listed Brookfield Asset Management to acquire majority stakes in six South African-based renewable energy projects with combined capacity of 178MW. In June, Eskom and KfW, the German Development Bank, on behalf of the German government, signed a $100 million (approximately R1.35 billion) loan facility to support further investments in the transmission network in the Northern Cape in order to facilitate the grid integration of renewable energy independent power producer projects under the recently-signed power purchase agreements. In a statement, Vantage GreenX says all the R2.05 billion projects form part of round four of the South African Renewable Energy Independent Power Producer (REIPP) procurement programme. The GreenX funding was provided to four projects developed by BioTherm Energy and two projects developed by OMLACSA and ACED. All six projects reached financial close in the last two weeks of July 2018. The four BioTherm projects are the 86MW Konkoonsies II solar PV project (Northern Cape), the 45MW Aggenys solar PV project (Northern Cape), the 120MW Golden Valley wind project (Eastern Cape) and the 32MW Excelsior wind project (Western Cape). GreenX Note II is Vantage GreenX's second generation renewable energy debt fund. The fund has a mandate to provide consumer price index (CPI)-linked senior debt to sustainable projects that form part of the REIPP, small projects independent power producers, co-gen and gas procurement programmes run by the South African Department of Energy. The firm says CPI-linked debt, although not new to the local market, has for the first time provided a significant portion of the total senior funding to projects in this round. It points out that due to the way it is structured, CPI-linked debt provides a hedge against inflation and allows projects to bid lower tariffs for similar equity returns. In doing so, it has ensured affordable electricity tariffs are passed on to consumers. "It is with great pleasure that we announce that we have supported these six projects," says Alastair Campbell, MD of Vantage GreenX. "Each of these projects has strong, experienced sponsors and solid project fundamentals. Together they represent a geographically diverse portfolio of assets. "Despite the difficulties experienced by stakeholders in the industry over the last two years, we hope the conclusion of this round of projects represents a watershed moment for the South African renewable energy industry and provides forward momentum to the sustainability of the domestic energy sector as a whole." The GreenX Note I is fully invested across eight solar and wind projects located in the South African provinces of the Eastern Cape, Northern Cape and Limpopo. The completion of the six GreenX Note II transactions takes the total number of investments made by GreenX to 14 across the two funds. Vantage anticipates lending the remaining R1 billion in GreenX Note II before the end of this year.